Increases in computer power and technology have rapidly advanced the applications of numerical modelling in environmental and earth sciences. The progress of numerical modelling in atmospheric, oceanic and geophysical sciences was the topic of an international conference held by the National Autonomous University of Mexico. 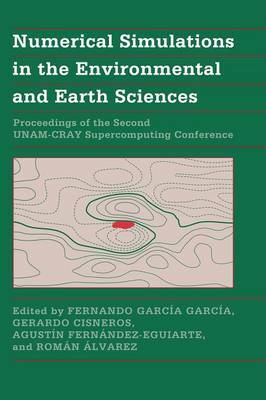 The review articles and research papers in this volume constitute a wide-ranging account of modelling environmental and earth processes through a variety of numerical simulations. Sections are devoted to such topics as general circulation models and global change, methods of geophysical data assimilation, and mathematical and computational methods with geophysical applications. This book forms an excellent introduction and overview for graduate students as well as a critical update for researchers. Buy Numerical Simulations in the Environmental and Earth Sciences by Fernando Garcia-Garcia from Australia's Online Independent Bookstore, Boomerang Books.